Even though Auckland is the “City of Sails”, not every traveler has their own personal sailboat to ply the waters of the Hauraki Gulf. Luckily, the boats run by Fullers ferries make it remarkably easy to explore around Auckland. The main ferry terminal is in the downtown city center, from where Auckland travelers can embark on a day trip to various spots around the city. For a short cruise, you can cross the waters of Waitemata Harbor to the northern suburb of Devonport. While en route, be sure to snap a photo of the Auckland Harbor Bridge which famously punctuates the city skyline. For those who are looking for a bit of hiking, Fullers offers boats to Rangitoto Island where you can trek to the top of a dormant volcano. In December and January, Fullers ferries make the 2.5-hour journey to Great Barrier Island, where you can trek to hot springs, bake on the beach, or kayak your way through empty coves. Or, if you’re just looking for a leisurely cruise, Fullers has narrated tours of the harbor which point out the sights as the boat cruises across the water. Finally, for those who want to spend the day wine tasting at Auckland’s trendiest vineyards, Fullers has ferries which make the crossing to the grape-covered shores of Waiheke Island. In addition to the ferry, Fullers offers guided tours of the island, and help out with transportation from bicycles to car hire. 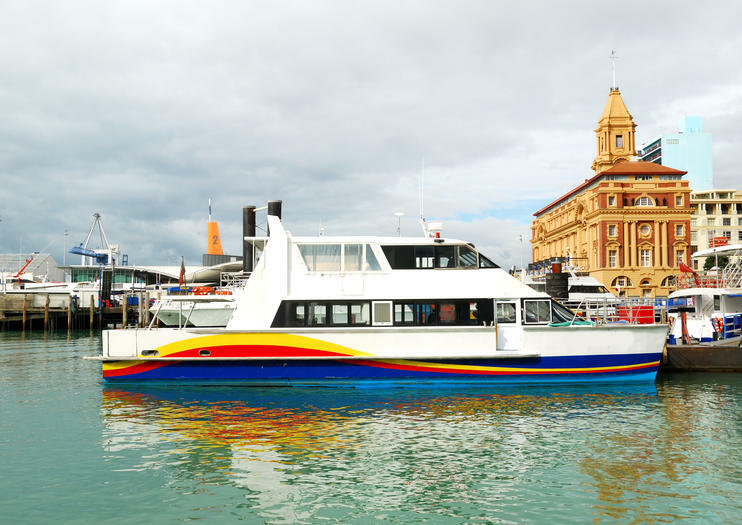 For Auckland travelers and vacationing locals, Fullers ferries are not only a means of efficient public transit, but a convenient conduit connecting the city with many of its surrounding adventures. Se Queen Street, Auckland Viaduct, Auckland Domain og mere på en halvdags bytur i Auckland. En informativ guide tager dig over havnen Bridge til North Shore for udsigt over skylinen, stopper i den charmerende landsby Parnell til morgen te og fortsætter langs Tamaki Drive. Kombiner din sightseeing med en af ​​syv mulige opgraderinger: Devonport færge; Sky Tower; Kelly tarlton s; Krigsmonument og Maori kulturelle præstationer; havne krydstogt; frokost på 'Pride of Auckland' yacht; og sæsonbestemt vinsmagning.